We really enjoy selecting our range of toys for the Autumn/Winter season. While the heat was blistering, we were assembling, testing, playing with and giving the Mulberry Bush stamp of approval to our new range. As we specialise in traditional and innovative toys, gifts and games our Top 12 For Christmas List is a little different to other retailers and is full of items that will give lasting value. Do let us know what you think, we’re always pleased to hear from our customers! We love our whole range, but in no particular order, we think these will be our customer’s favourites this year, some are new, some are favourites year after year! The Oldfield Farm is a timeless classic wooden toy at its best! Children love the simple design, we love the quality! 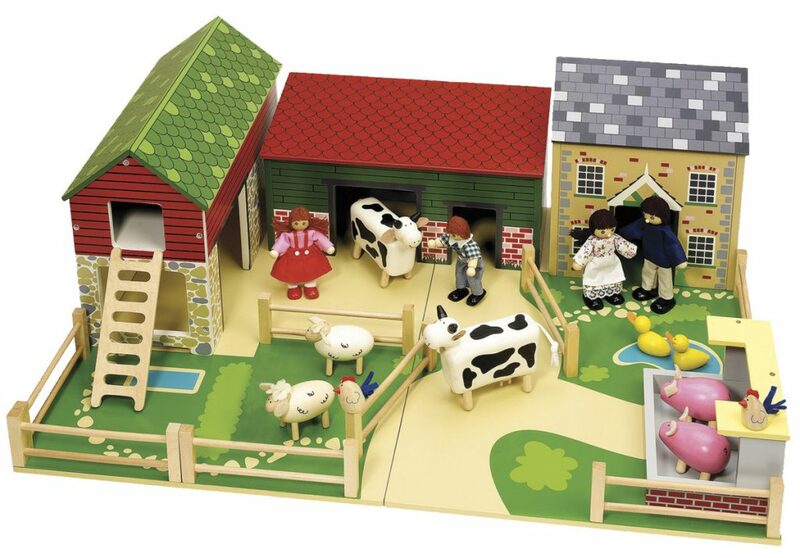 The farm is available on its own or as a package with wooden animals and a family. A beautiful set that will last for years. 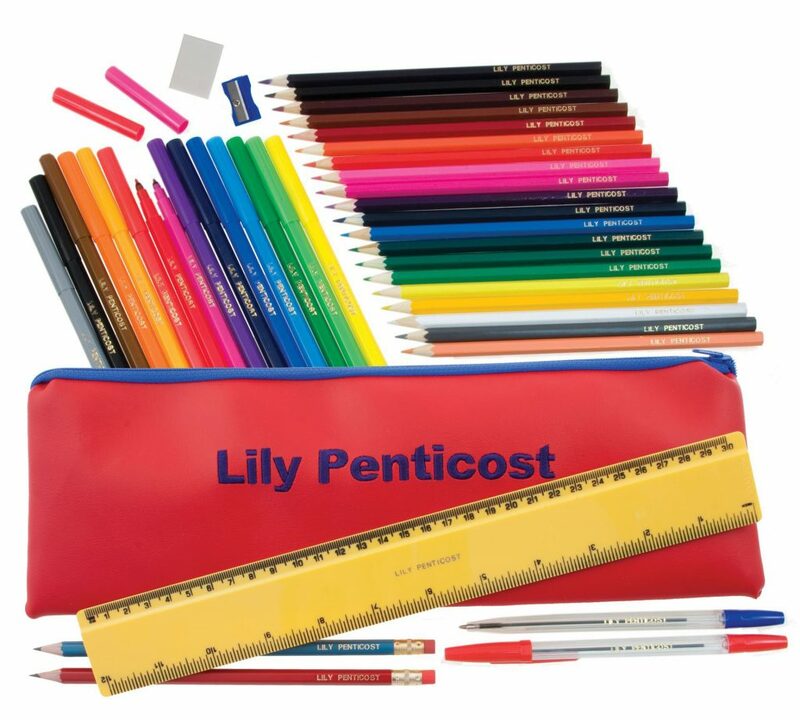 Embroidered Pencil Case – a smart pencil case, embroidered with a name and filled with everything you need for school, all named so they don’t get lost, rulers, pens, pencils, colouring pencils and felt-tip pens too, we even manage to squeeze in a pencil sharpener and eraser! Children love to receive something with their name on, with this set they will be delighted, it’s just the right size for school bags and brief cases too! 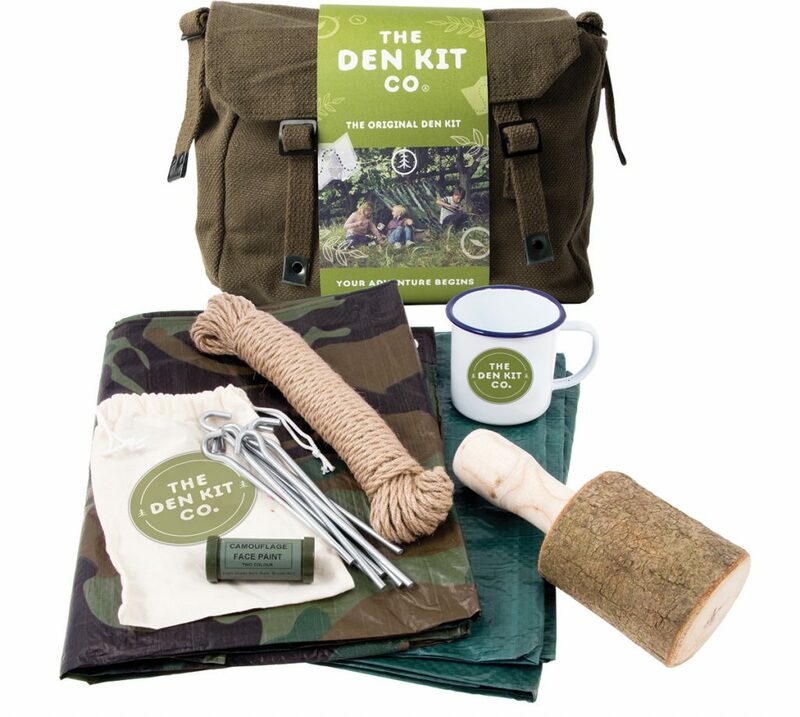 Children love the Den Kit because they can invent their own den while exploring the great outdoors. Everything they need packed into a robust rucksack for endless fun and adventure and a great way to encourage children to get outside! Infinity Loop – the next big craze! 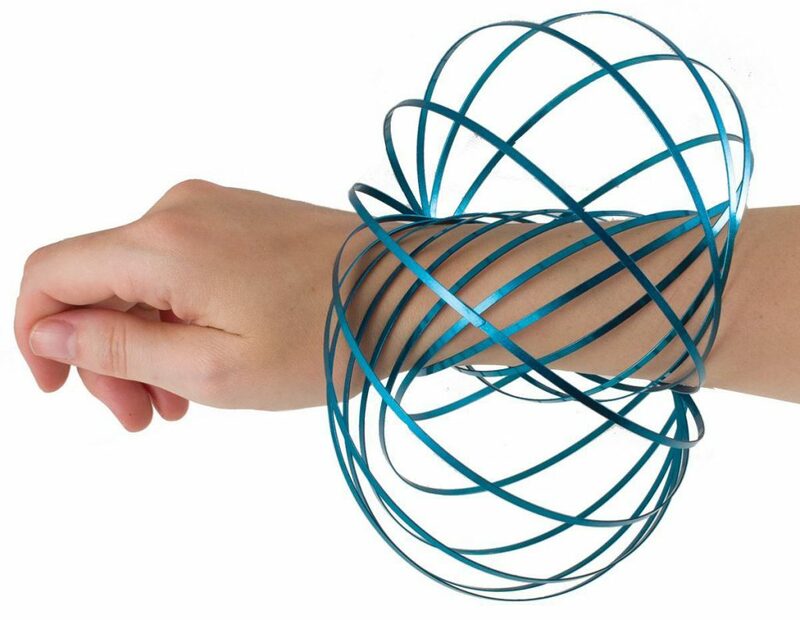 This is a quality metal infinity loop, mesmerising and enjoyed by children and adults alike, made to last. 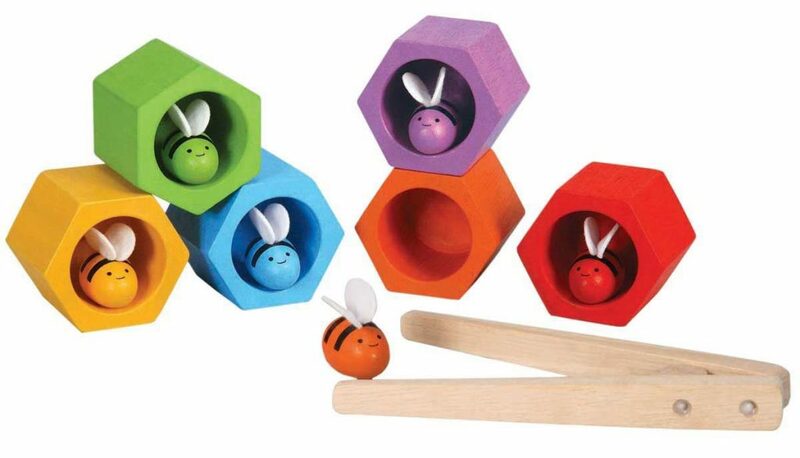 The colours of this set of little Wooden Bees and Hives are visually stunning. Appealing to parents and children because you can play with it in so many ways and, we believe, a toybox classic of the future. It’s environmentally friendly too as it uses sustainable materials and production principles! 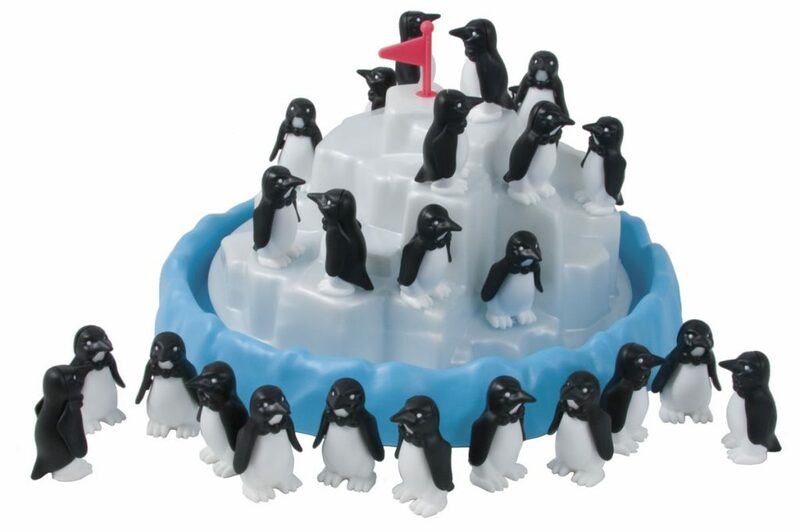 The Penguin Pile Up Game is a much-loved game all the family will enjoy playing. We have sold Didicars for years, they never fail to delight children (we have also known parents and grandparents to have a go – some families buying more than one so they can race against each other!) 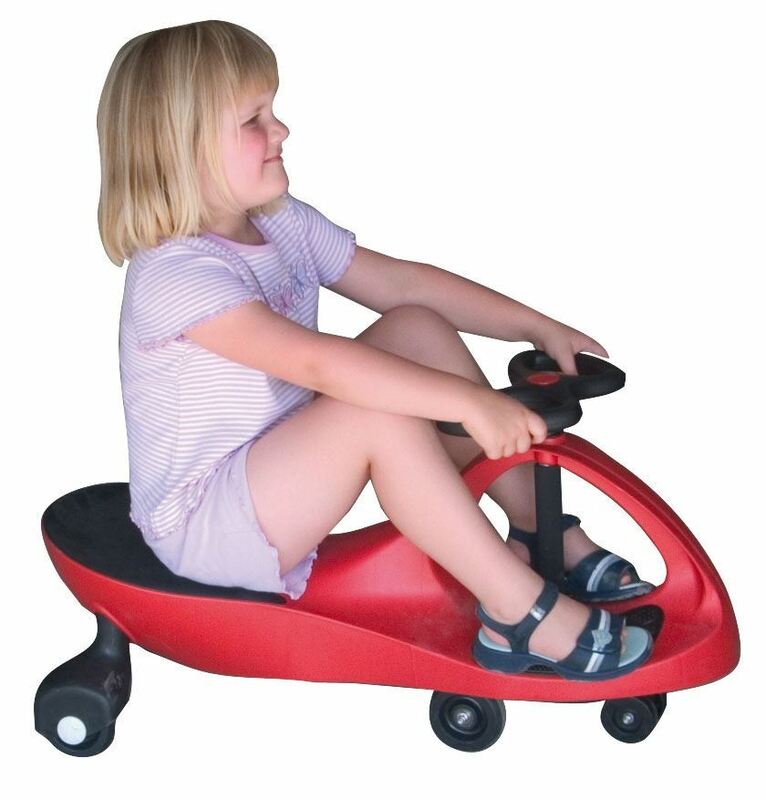 A totally different mode of transport, the unique design has no pedals or batteries, you just turn the steering wheel from side to side and off you go! 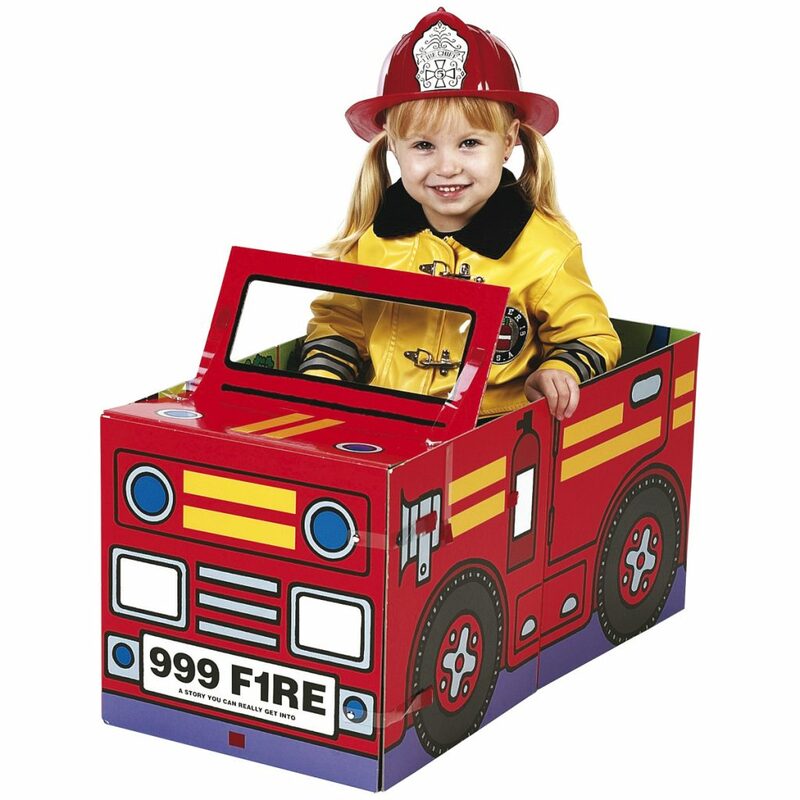 Everybody enjoys our range of Convertible Books, they are a book, playmat and 3-D vehicle in one and a fantastic price for such a brilliant multi-purpose toy. The sturdy pieces can be re-modelled using tabs and fasteners. 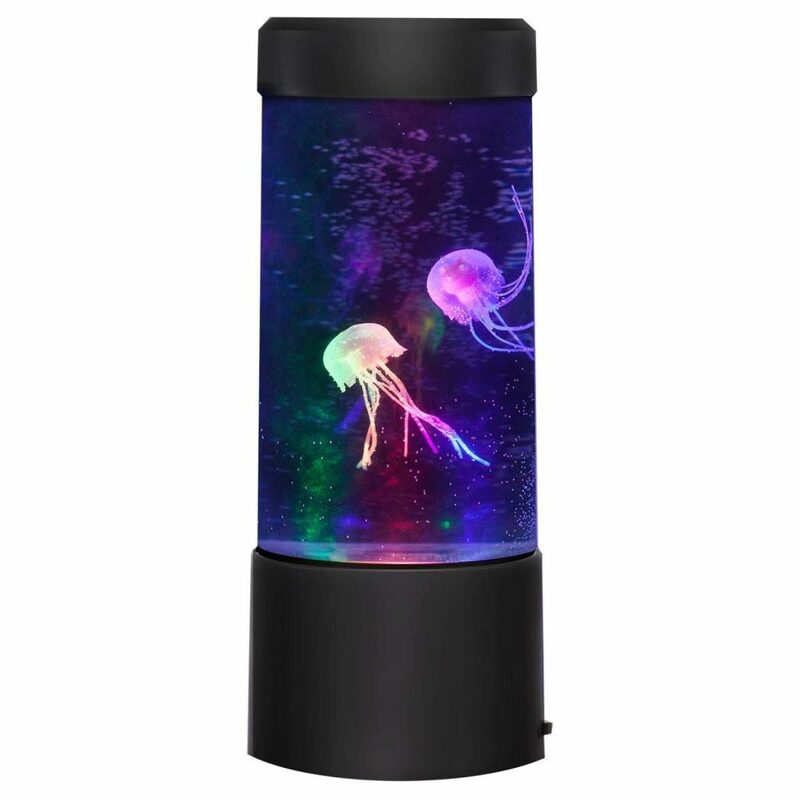 Completely new to us this year is the Jellyfish Mood Light, amazingly life-like jellyfish that move realistically in a tank lit with LED lights. A calming and relaxing night-light for children and adults. 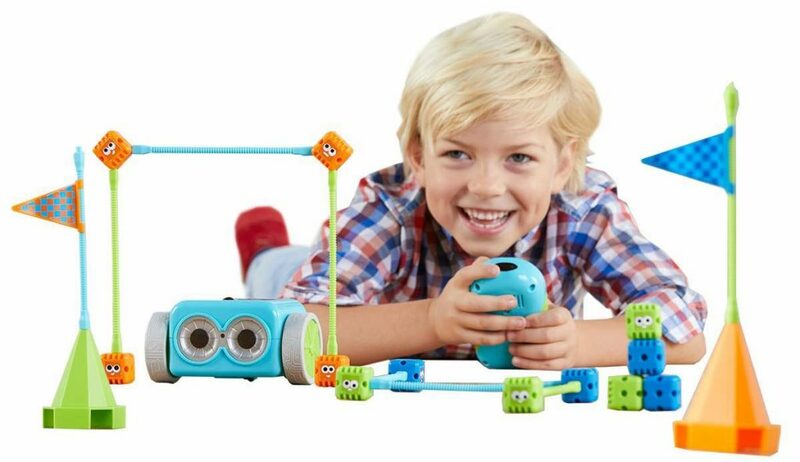 Botley is a brilliant STEM activity toy, with an engaging character and he makes great, happy noises too! Children learn the basics of coding, which is now taught in all schools and the challenge cards included in this set teach fundamental computer coding concepts in a fun and enjoyable way. As the child grasps the concept, coding can become more complex too! 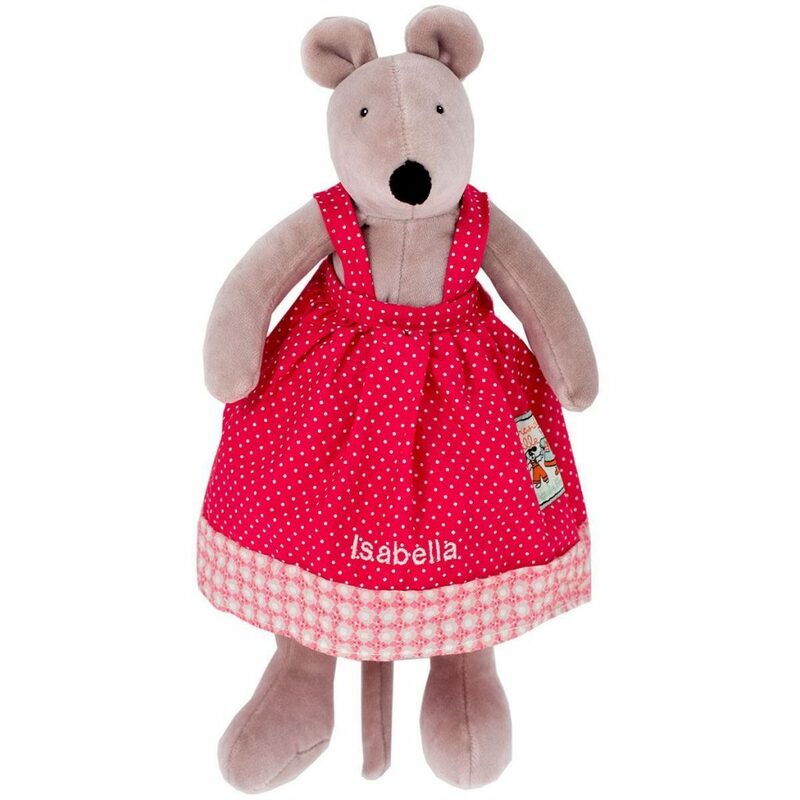 Nini Mouse is new to our personalised range, she is beautifully soft and from the premium brand Moulin Roti and can be personalised with the name of your choice – she’s suitable for children from birth, so a perfect and original first Christmas present! When we received the sample of the Make Your Own Dream Catcher we were delighted with it! The instructions are clear so it was easy to make with just the right amount of challenge! 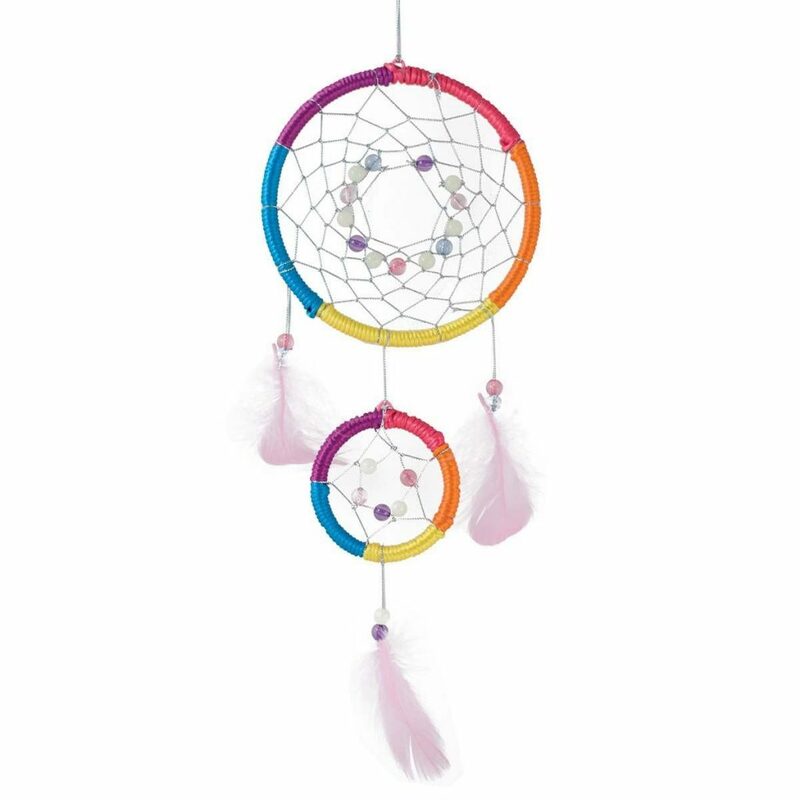 The end result is a stunning dream-catcher that will look beautiful in the window of any bedroom and children will love the feeling of achievement that they made it! I hope you enjoy our Christmas Top 12 Toys from Mulberry Bush, let us know what you think!